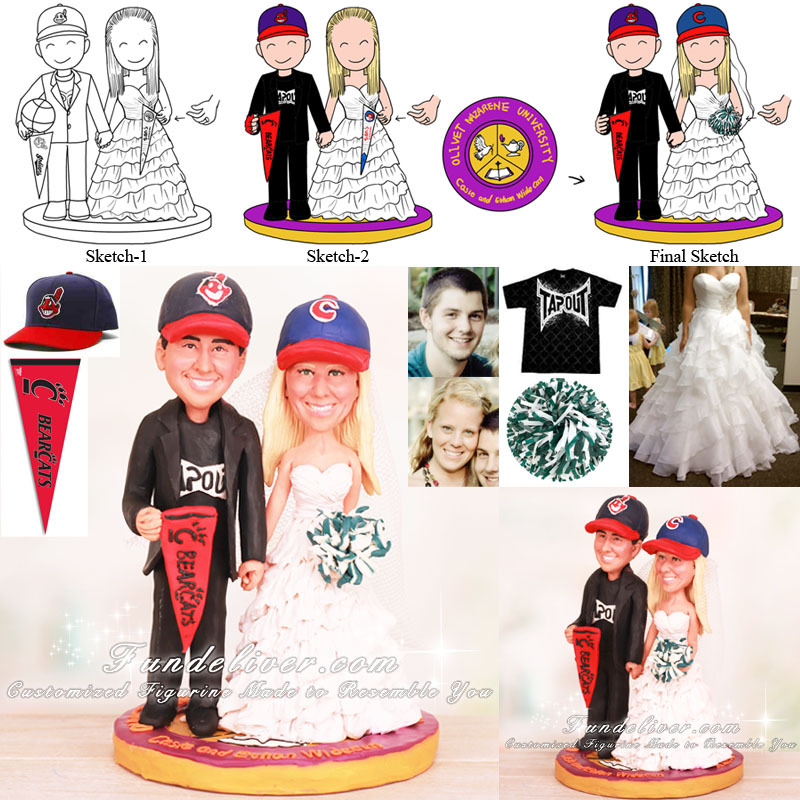 This is a completely customized Olivet Nazarene University theme sport wedding cake topper ordered by a Dad for her daughter. 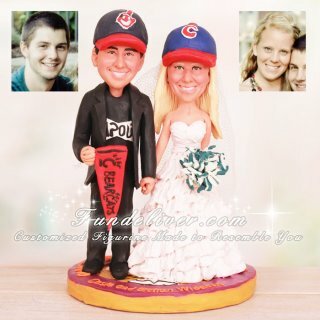 Thanks Richard for sharing his idea of creating such a great wedding topper. We post his instruction below to help you figure out the detail.